Rod Carley delivers a dramatic and lively reading from his novel-in-progress. A comic tale of “mid-life malaise and artistic masochism,” this satirical and colorful tale spins the tale of a stage-director who takes a job, directing Romeo & Juliet, deep in farm country. Carley explains that the story is loosely based on his own experiences. 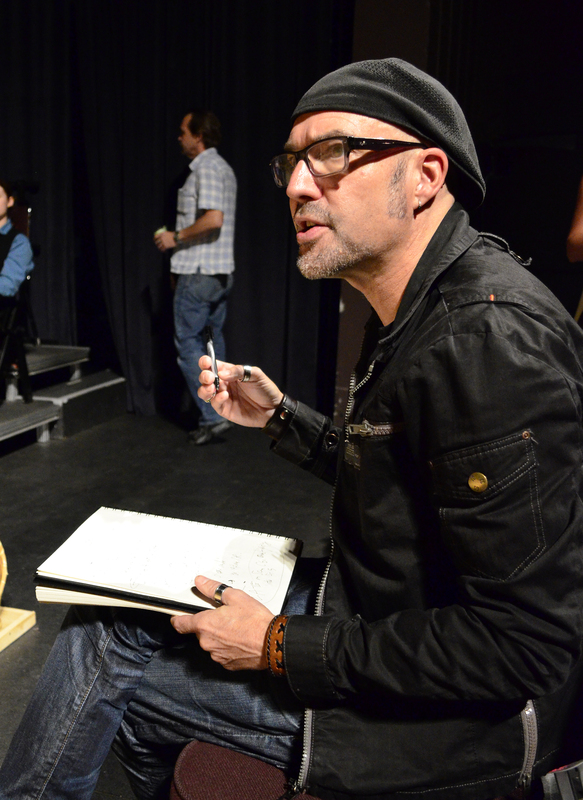 “Instead of writing a memoir, I thought it was more interesting to write it as fiction.” Carley is well-known in northern theatrical circles as a writer, director, producer and actor, and is Coordinator of the Canadore College Theatre Arts program.